JOSEPH HENRY PRESS WASHINGTON, D.C. 1997 Copyright © 2003 National Academy of Sciences. All rights reserved. The Joseph Henry Press, an imprint of the National Academy Press, was created with the goal of making books on science, technology, and health more widely available to professionals and the public. Joseph Henry was one of the founders of the National Academy of Sciences and a leader of early American science. The whole truth about contraception : a guide to safe and effective choices / by Beverly Winikoff, and Suzanne Wymelenberg. p. cm. Summary : A detailed guide to currently available methods of birth control. Copyright 1997 by the National Academy of Sciences. All rights reserved. Printed in the United States of America. 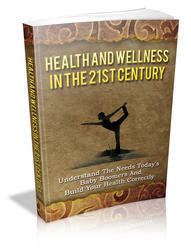 The ideas, procedures, and suggestions contained in this book are not intended to replace the services of a physician. Many matters regarding your health require medical supervision and you should consult a physician before adopting the procedures described here. Any application of the treatments set forth in this book is at the reader's sole discretion and neither the authors nor the publisher assume any responsibility or liability therefor.